Polypropylene film, for Cold Pressure Sensitive Adhesive laminating. This Polyester film is UV treated. Available finish is Gloss, and has a clear permanent acrylic based adhesive. 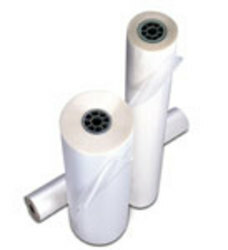 Each roll is 50mts long, on 76mm core and can be cut to size.